DISTANCE FROM HOTEL: 10 km DRIVE TIME: 15 min. DIRECTIONS Drive towards Garhoud Bridge and take the first exit to Jebel Ali / Abu Dhabi. Continue on the highway following the signs for Trade Centre. At the roundabout, take 'Jebel Ali, Abu Dhabi' exit. Conrad Dubai is on your right hand side. The Jumeirah Mosque is a dominant landmark of Dubai city. Built in the medieval Fatimid tradition, this stone structure is a tribute to modern Islamic architecture. While strolling through the Mosque at sunset, you will be washed in shadows by this elegant formation. Considered to be one of the most attractive mosques in Dubai, the Sheikh Mohammed Centre for Cultural Understanding organizes visits to the Jumeirah Mosque for non-Muslims, aimed at promoting cultural understanding and first-hand experience as an insight to the Islamic religion. Jumeirah Mosque Tours is conduct on every Saturday, Sunday, Tuesday and Thursday at 10 am, children must be 5yrs+ in the morning for the tourists and residents, they gather outside the ornate Jumeirah Mosque for a conducted tour of the Mosque and a better understanding of Islam. Fee is 10Dhs per person. Organized by the Sheikh Mohammed Centre for Cultural Understanding, a non-profit organization, the purpose of the tour and the Centre itself, is to bring down the barriers between different cultural groups residing in the UAE. Since it’s inauguration in 1979, the Dubai World Trade Centre (DWTC) has played a critical role in the growth of international trade for the Middle East region. From the landmark 39-storey Trade Centre Tower, to the region’s largest purpose-built complex for events and exhibitions, DWTC has become the epicentre for business tourism in the region. 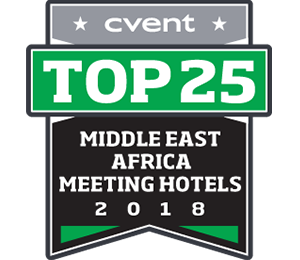 With over 30 years of expertise in the events and exhibitions industry, we expertly organise global events and manage premium venues, as well as develop dynamic commercial environments and provide world-class hospitality. Most of all, we deliver unique and unparalleled customer experiences. The Dubai Mall is the region's premier shopping, lifestyle and entertainment destination. With more than 1,200 stores and a host of world-class attractions, The Dubai Mall is revolutionizing the modern shopping experience. With an impressive array of leisure pursuits, this is the ultimate, cutting-edge shopping experience. A range of adventure sports vies for attention alongside the romance of ice-skating. The Dubai Mall is a place where outdoor brunch can be followed by the delights of the big screen and where a 21st century gold souk is set off against a world class aquarium. When was the last time your sortie to the designer stores took place under the watchful eye of a sand tiger shark? Step inside The Dubai Mall and experience a place like no other. Enjoy quiet, insightful service at Conrad Dubai. Guests find pleasant surprises, including Italian marble in meeting spaces and unique settings to host an inspirational event or business meeting. Choose from an array of elegant venues and enjoy the modern amenities and flexibility of this luxury Dubai hotel. 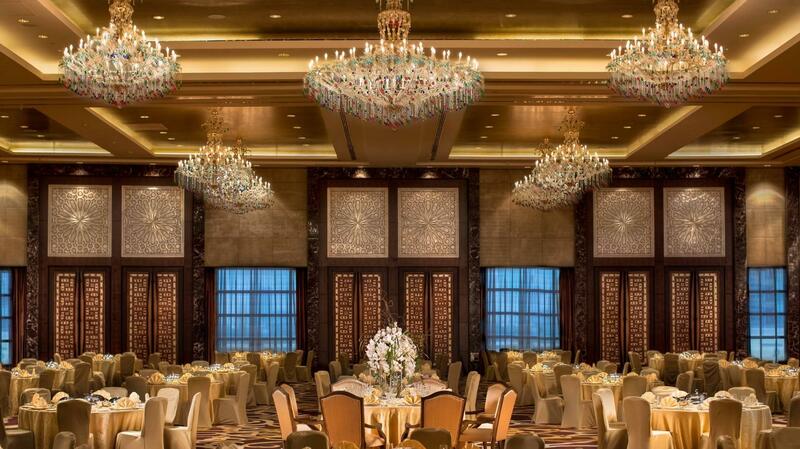 Consider Conrad Dubai’s Grand Ballroom for a lavish party. Decorated with crystal chandeliers, Italian marble and hand-cut carpets, the ballroom boasts banquet space for 1,000 people. A lift large enough for an automobile makes big product launches easier at our luxury hotel. This luxury hotel near the financial district has direct access to the Dubai World Trade Center metro station. The Dubai Mall and Burj Khalifa are less than 5 km (3 miles) away and is conveniently located 20 minutes from Dubai International Airport. A stay at Conrad Dubai, with its attentive service and focused amenities, is always relaxing. 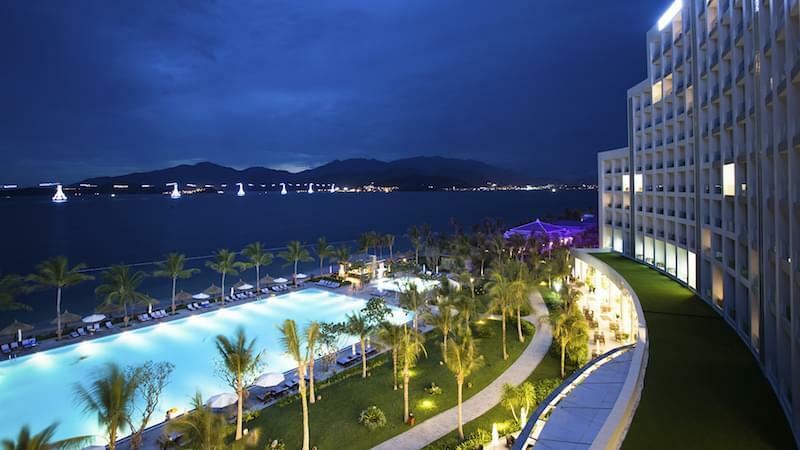 The hotel’s 555 rooms have city or Arabian Gulf views and modern technology. Every state of the art suite features sleek and modern décor, offering a separate living room, Bose® surround sound system, iPod docking station and a Nespresso® machine. The bathroom is fitted with a flat-screen TV, a bath and a rain shower. For a memorable culinary experience, try our five dining and entertainment venues which includes Ballaro restaurant, Bliss 6 an Urban Oasis and Cave wine bar. Conrad Dubai also features a superb range of spa and fitness facilities including the latest Technogym® equipment, an outdoor yoga pavilion and an outdoor pool for guests who are looking to maintain their fitness regimen. Dubai World Trade Centre is a 2-minute walk and Dubai International Airport is a 20-minute drive from Conrad Dubai. Free valet parking is available on site.